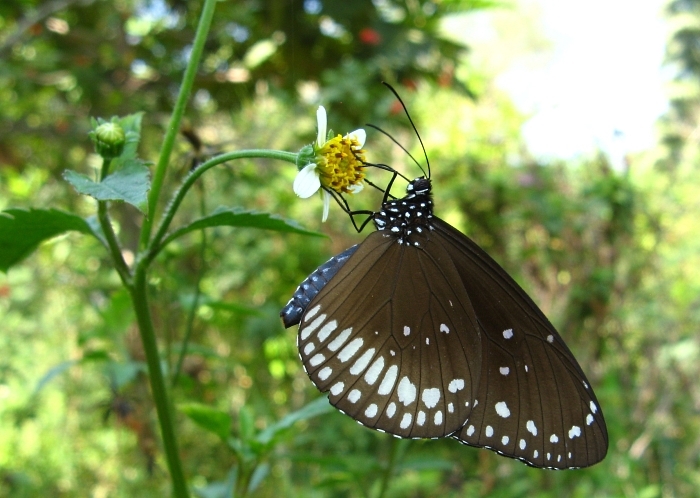 I found this beautiful species in Kolkata and Mysore. 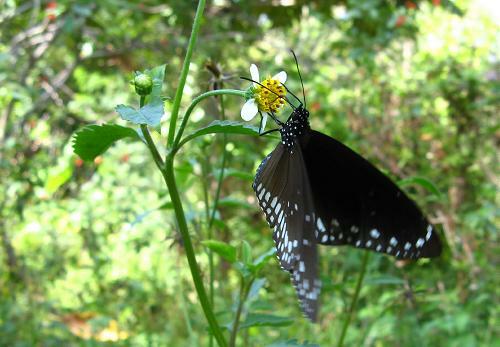 The double-branded cros, Euploea sylvester, is very simlar. 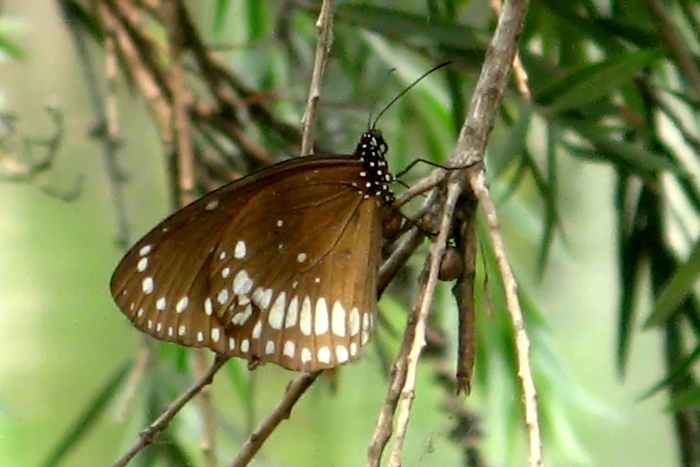 The male has a double androconial brand on the forewing upperside and both sexes have two pale spots near the leading edge of the forewing underside, where the common crow has one or none. It is mimicked by form clytia of the common mime, Chilasa clytia.